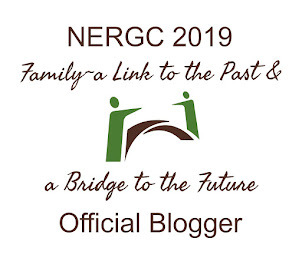 THE DEMANDING GENEALOGIST: Genealogical Evidence Got You Stymied? Can’t Put Your Thoughts in Order for that Report? Genealogical Evidence Got You Stymied? Can’t Put Your Thoughts in Order for that Report? And Let Elissa and Barbara Give You Some Ideas About How to End that Confusion! Ever go to conferences and see the presenter do magical things, but then when you sit down yourself, you find it isn’t that easy? Putting Skills to Work is a unique full-day, hands-on workshop limited to sixty participants. The focus is practicing skills needed by anyone who does serious genealogical research whether as a family historian, librarian, dedicated hobbyist, or writer. Materials are geared to intermediate and advanced practitioners and advocate established genealogy standards. The registration fee includes lunch, both in-depth presentations complete with hands-on exercises, syllabus, handouts, and active class participation. NGS Conference registration is not required. You can go just to the workshop – you don’t have to cross-register to go to the conference. Elissa Scalise Powell, CG, CGL, will lead the session “Tested Strategies for Efficient Research Reports.” If you’ve found writing research reports (whether to paid clients or to your own files) painful, then this is the class for you. Many researchers assume committing research findings to paper is separate from the research process; however, Elissa will share her methodology for using available time efficiently during the research process, resulting in a sharable work product. “Tested Strategies for Research Report” will allow each participant to experience (not just observe) an efficient process for making the research report a part of the research cycle. Writing “as you go” saves genealogists the pain of creating a report after the thrill of the chase is complete. Each of us wants to be more efficient in our research and more proficient in our report writing whether for a client or for our own family and files. Without writing down your research plan, analysis, and conclusions, you or future generations may very well repeat them needlessly. Communicating our findings is at the crux of all we do. 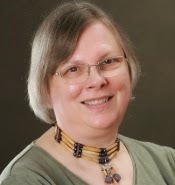 Elissa Scalise Powell, CG, CGL, is immediate past-president of the Board for Certification of Genealogists. 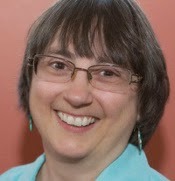 She is co-director of the Genealogical Research Institute of Pittsburgh (GRIP), instructs for Boston University’s Genealogical Research Certificate course and at the Salt Lake Institute of Genealogy. She is coordinator of the Professional Genealogy course for the Institute of Genealogy and Historical Research at Samford University. She has extensive experience as a forensic genealogist in mineral rights cases. Barbara Jean Mathews, CG, FASG, will lead the session “Evidence Analysis, Correlation, and Resolution: The Heart of the Genealogical Proof Standard.” Focusing on only direct evidence creates unnecessary research dead ends. This session addresses weighing and correlating sources, evidence, and information in their many diverse forms for successful resolution of investigations. We will take a family living in the U.S., and work until we know where in Denmark they came from. Where will we look for them? What do the records in Texas tell us about the family? As we go through the documents we’ll ask ourselves new questions and move to new areas of research, much as we would in the world outside the classroom. We will also evaluate indirect and fuzzy evidence, working together to resolve those issues. So many areas of the U.S. have few records but that doesn’t mean that we can’t make intelligent inferences about family relationships. Barbara mentored ProGen Studies Group 7, and GenProof Studies Group 6. She currently mentors ProGen Studies Group 21 and NGSQ Study Group B. She is a substitute instructor for the Boston University genealogical certificate program. She has extensive experience as a lineage genealogist analyzing documents from across the U.S., from the present back to colonial times. So please join us for a fun day of experiential skill-building and take home ideas and processes that work and help to make us more efficient with our time and money. Why a confused kitten? It gets people’s attention. This one is from Microsoft and is used under license. Credit for this posting also goes to Kathy Gunter Sullivan, CG, who posted notices on the BCG Ed Fund page http://bcgcertification.org/educationfund/index.html and as a BCG SpringBoard blog post http://bcgcertification.org/blog/2014/12/bcg-education-fund-workshop-at-ngs-st-charles-12-may-2015/ . UPDATE 1: Cost after Early Bird registration changed to reflect the fact that the workshop is not subject to a change.